A lamp is more than just a lighting solution when it exists in a child’s room. The right lamp can also offer a focal point, a sense of comfort and control and can really set the mood for a cosy sleeping (or studying) nook. Buokids are the masters of creating handmade lights for children that surprise and delight. Experimenting with textures and natural materials, Buokids lamps are fun and contemporary with an elegance that conveys top quality craftsmanship. The TIPI table lamp is just divine. Designer Javier Herrero took inspiration from the way Indian houses were built in harmony with nature. 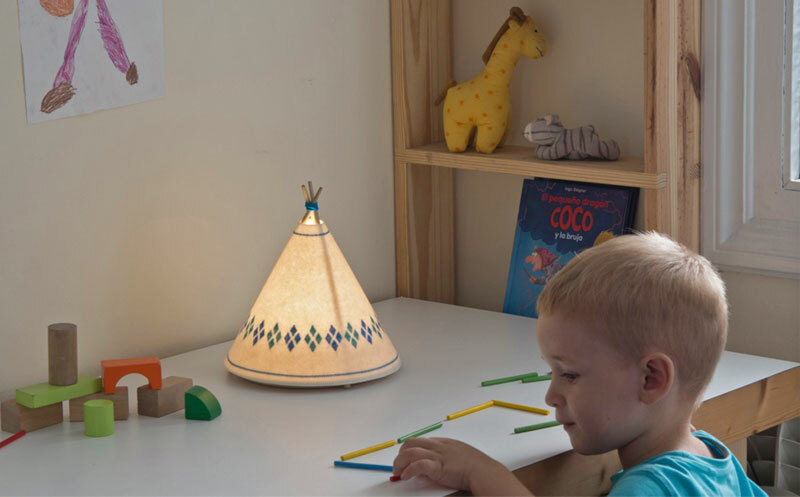 This lamp has delicate embroidery work and is made from wool felt and 100 per cent natural beech wood.The TIPI lamp is available in four different colour palettes and sells for €79. The Theatre lamp (pictured at the top) is a dynamic lighting solution that illuminates the interior area like a stage. Utilising built-in LED technology for high brightness and low power consumption, this table lamp is made of ash wood with rhombus pattern on the inside. 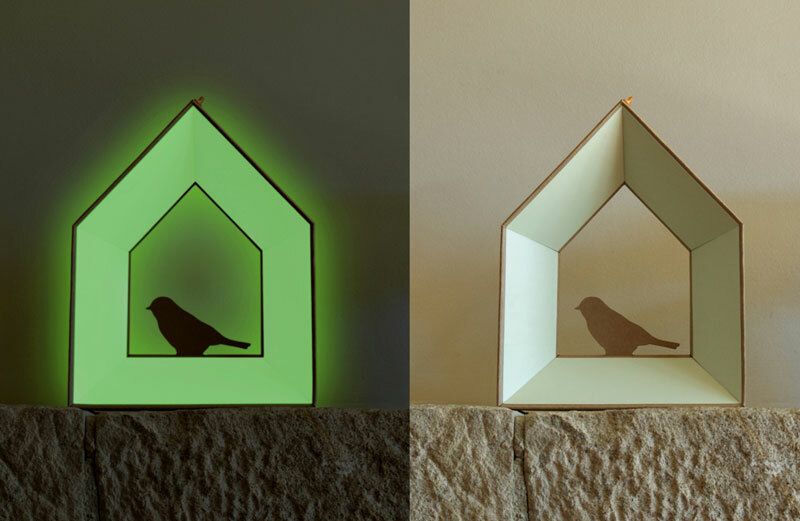 The Theatre lamp costs €99 and comes in four different colour patterns. Also worth a mention is the Buokids Magic Light, a fascinating ‘lamp’ that doesn’t require any installation or use any energy. 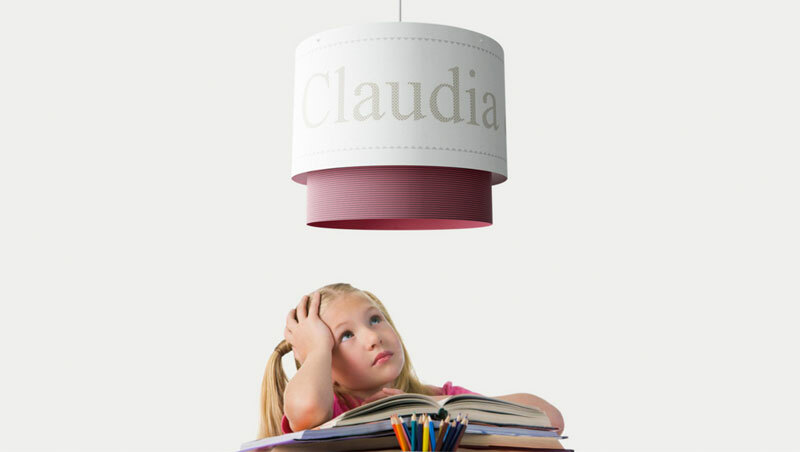 The Softlight sconces are soft and lovely for a night light and finally, what child wouldn’t want a personalised hanging lamp as a homework helper? Explore these lamps and plenty more in the Buokids online store. They are based in Spain, but Buokids do ship internationally for €22.